With no power cord cordless hedge trimmers offer unparalleled freedom of movement with a great deal of power too. Advances in lithium-ion battery technology mean that today’s cordless hedge trimmers can saw through thick vegetation with ease, and they’ve got plenty of run-time too. Ideal for anyone trying to manage small to medium-sized hedgerows. This Pole Pruner attachment with shaft tube extension and shoulder strap is for use with MT 36 Li. T.. This Pole Pruner attachment with shaft tube extension and shoulder strap is for use with MT 36 Li.&n.. 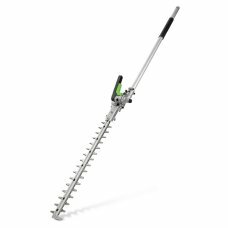 The hedge trimmer attachment enables you to trim high hedges without the need to use a ladder, makin..